This capture card supports high framerate 1440p 144Hz and 1080p 240Hz passthrough. 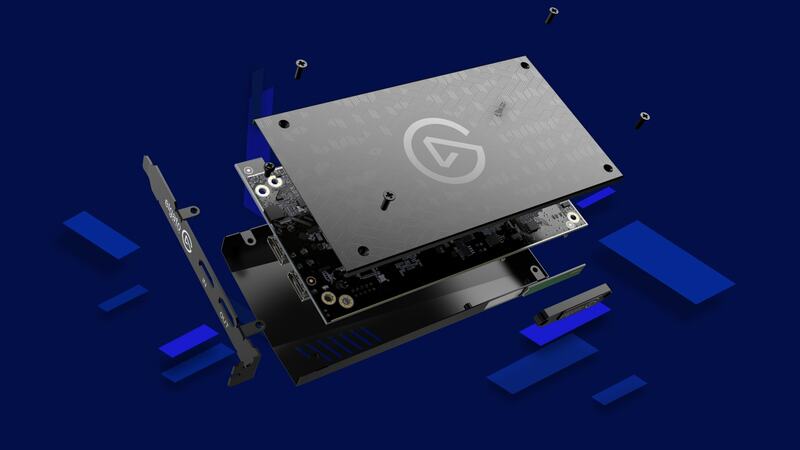 Elgato has officially revealed their new 4K60 Pro capture card, a unit that is designed to capture 4K video flawlessly at up to 60FPS as well as offer passthrough capabilities. This is easily Elgato's highest-end capture solution to date, with the company's previous capture card designs offering a maximum capture quality of 1080p 60FPS, making this new version around 4x as powerful as the company's existing HD60 Pro. The 4K60 Pro will officially release on November 21st and ship for $399, delivering a high-end capture solution that is capable of recording native video from today's PS4 Pro and Xbox One X consoles. This new capture card is designed to utilise four PCIe 3.0 lanes, requiring a lot more bandwidth than the single PCIe lane that the company's older HD60 Pro PCIe capture card required. This change makes a lot of sense given the sheer upgrade in raw bandwidth that is required for 4K streaming/recording. With prosumer 4K capture hardware now being available, the only real limiting factor for 4K streaming is internet bandwidth and storage requirements, as high-quality 4K footage will require a strong internet connection to upload and store on the user's system, which is a problem for anyone who has internet usage caps. At this time we do not have a UK price for this new 4K-ready capture device, though it is expected to cost around £400 (including VAT) given the current exchange rate. You can join the discussion on Elgato's new 4K60 Pro video capture device on the OC3D Forums.